In 1993 in the New York stock exchange the first Exchange Traded Fund was established. Since then, the number of ETFs has exponentially increased, and now accounts for about 4000 funds. This instrument tries to replicate an already existing benchmark with a typically small tracking error and lower cost than mutual funds. Authorized participants act as market makers exchanging creational units (i.e. units of the underlying) with shares of the ETF. Redemption of shares is not settled in cash but in the underlying. Arbitrage keeps the secondary price aligned with the underlying and the fund is not obliged to hold a huge quantity of cash, causing underperformance in a rising market. They can be negotiated through the day allowing a quick reaction to changed market conditions. Our portfolios can benefit from the use of ETFs’ strategies because of the traditionally high liquidity of these instruments and the achievement of high diversification with low transactional cost. The costs of ETFs are usually very low if confronted with mutual funds with a variable TER that can go from 0.09% to 0.6%. In this article we are going to present 4 different ETFs issued by 4 different companies, each one of them can be used to enhance a quality of the portfolio and is based on a different strategy. First of all, we are going to start observing the outstanding results of the SPDR S&P500. This is maybe the most famous Exchange Traded Fund tracking the S&P500 with a TER (Total Expense Ratio) of 0.09% and a tracking error of 0.04%. 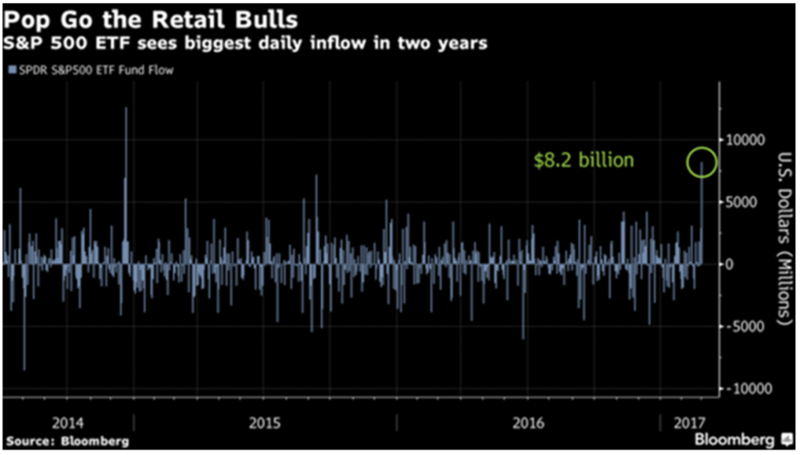 Last week as we have seen the best results in the S&P500 in almost 4 months, investors channelled $8.2 billion in the $250 billion fund, one of the biggest inflow in the fund history. The cost of this strategy is the annual TER of 0.25 % which is not low at all considering that inflation is about 2%. We suggest to use this strategy for an active management of the portfolio and not for a passive long term hedging; we believe that in that case a hedge on actual inflation would be more cost effective. The third ETF is the iBoxx EUR Corporate Yield Plus. This is another way to approach the European corporate market. It invests as underlying in corporate bonds using a smart beta methodology. By buying corporate bonds with the highest credit spread and the lower volatility it seeks to deliver returns in a very difficult market, where the ECB keeps loosening criteria to buy corporate bonds and investors strive to find good investments. In the current macroeconomic situation adding risk in our portfolio is almost inevitable, generally it can pass from an increase in duration or from shifting away from AAA bonds to cheaper ones. The problem with this kind of ETF is that it provides unwanted exposure to downgrade risk; the companies with the higher credit spread are also the most likely to become non-investment grade bonds. Historical series seem to show that markets discount this uncertainty before the downgrade really happens, and, when it does, the asset could start a process of recovery in value. The rationale behind it seems to be that uncertainty is overly penalizing the bond, but further digging and research will be made analysing this phenomenon. This ETF is a physical one, distributes dividends (underlying bonds coupon) and has a TER of 0.25%. The last ETF is the UBS ETF CMCI Composite hedged EUR. This is a fund replicating the CMCI Bloomberg index (Commodities index) investing in 27 futures with maturities from 3 months to 3 years. 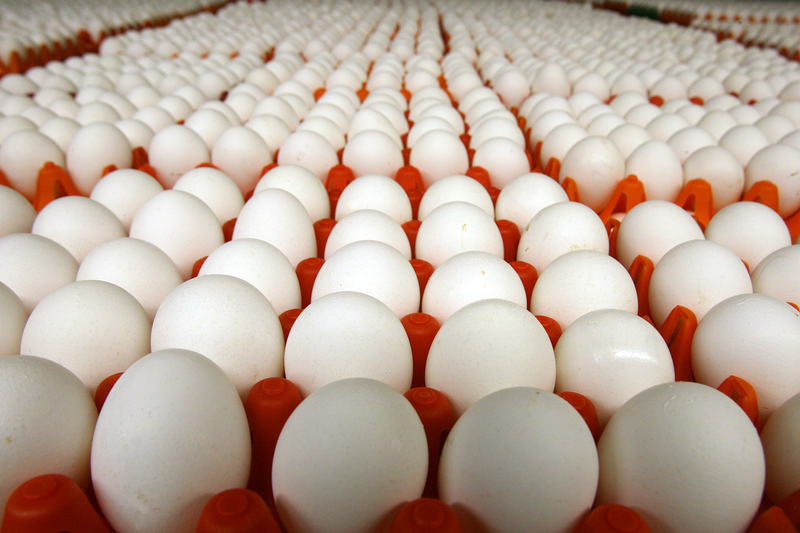 The investment is on a rolling basis and, as result of that, reinvestment risk is minimized. Investing in both 3, 6 months and 1, 2, 3 years should deliver a less volatile performance and on average better returns (given that commodities futures are usually in contango). Investment in each of the maturities is not compulsory: the fund retains the freedom of deciding when to invest, gaining flexibility but at detriment of the transparency of a completely passive strategy. This ETF is a synthetic one, which means that it does not invest in the actual underlying, instead the returns are guaranteed by a swap with a third party, such as an investment bank. It has a TER of 0.37%. Before concluding we want to spend few words about a new ETF waiting for the SEC approval. US:COIN is the ticker, bitcoin is the underlying. On the 13th of March the SEC is expected to give its final decision on the approval of a Bitcoin ETF. The new ETF is intended to offer investors an opportunity to participate in bitcoin markets through an investment in securities. The objective of this, as stated in the S-1 module, is to give investors exposure to bitcoin through an easily accessible and relatively cost efficient exchange-traded and transparent instrument. Shares of COIN will be traded initially on Bats BZX Exchange. Each share is worth approximately BTC0.1, they can be issued or redeemed only in basket of one or more whole blocks of 10,000 shares every day at NAV, which is determined using as main source the price of the Gemini Exchange Daily Auction. The two minds behind this ambitious project are the Winklevoss brothers and yes, they are the guys that were responsible for some of the original ideas behind Facebook. Authorized market maker for this instrument will be the HFT firm Virtu Financials. The bitcoin exchange BitMex issued a financial contract (COIN_BH17) whose value depends on the probability of the SEC approving the ETF. The payoff is 100 if COIN is approved, 0 otherwise. Currently this contract is giving an implied probability of approval of 44.2%. The recent bull ride in the bitcoin price is mainly due to expected institutional cash inflows that will follow the probable approval. We expect the SEC to approve the ETF even though we believe that the magnitude of the price increase since January has been exaggerate and take profits orders will be executed soon. Indeed if COIN is approved we could even see a reversal in the trend. The recommended short term strategy up to the 13th of March is short BTCUSD, long COIN_BH17.